7064S- TTR-230 05-12, WR-250X/R 09-12. 520 Chain. 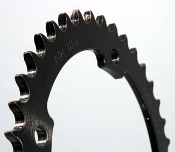 Our Products >> Steel Rear Sprockets, USA >> 7064S- Steel, TTR-230 05-17, WR-250X/R 09-17. 520 Chain. 7064S- Steel, TTR-230 05-17, WR-250X/R 09-17. 520 Chain. 7064S- Steel, TTR-230 05-17, WR-250X/R 09-17. 520 Chain. Available in 49 tooth size. Steel, Black Zinc finish. Steel Rear Sprockets, made in USA. * Select 49 Tooth Steel.